See related article, doi: 10.1007/s12350-014-0060-9. We think it is fair to assume that the technique of choice today is the manual alignment between PET and CT. Careful quality control and strict rules on how to perform the manual registration are required for reproducible and reliable results but manual interactions are always prone to failure. 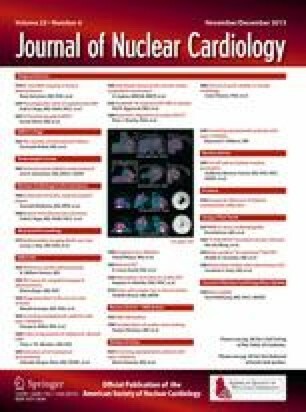 The study by Slomka et al addresses this critical issue with a software-based approach in 82-Rb cardiac PET/CT using invasive catheterization as gold standard.10 Interestingly, they conclude that the optimal strategy is to perform a rigid alignment only in those cases which were identified as misaligned by means of visual assessment. This raises an interesting point: the technologist must be able to rapidly detect such a misalignment. As PET scanner user interfaces are focused on non-cardiac scans, such a suitable visualization is not necessarily available—although it would be very valuable. Surprisingly, the rate of unsatisfactory alignments of the data acquired “as is” is rather high with around 51% (stress) and 55% (rest). This outlines again the necessity of strict quality control and proper registration. An additional interesting finding is the fact that the rigid alignment was superior to the elastic approach using a semi-commercial tool box. This hints in the direction that advanced algorithms work better in a somewhat controlled research settings but the clinical robustness might require a reduced level of complexity. Slomka et al also report that many mismatches were observed although proper breathing commands were given.10 We completely agree with the fact that end-expiration is the proper position but we found that training of the patient or even the absence of any breathing command is the good preparation for such a scan as quite a number of patients interpret such a command as the last chance to inhale and then stop breathing. In addition to an improvement in diagnostic accuracy in static imaging, accurate and ideally automatic attenuation correction is relevant in dynamic imaging as well.11 Absolute quantification e.g., of absolute myocardial blood flow showed advantages in diagnosis, prediction, and monitoring of cardiovascular diseases.12 Thus, a reduction of artifacts is an important element. In dynamic imaging, patient motion might occur anytime and the time after the end of the pharmaceutical stress test appears to be especially vulnerable to it. In such a setting where motion correction has to be performed in 10 or 20 frames, manual procedures are tedious and might become unreliable. Thus, automated processing becomes especially important in such applications. It is also worthwhile pointing out that the general problem is not limited to PET/CT but affects also cardiac PET/MR. In this latest addition to nuclear cardiology’s armamentarium, an MR scan is converted to a μmap for attenuation correction.17 A scan repetition is simple as it is fast and is not associated with ionizing radiation, but the need to make this decision after identifying misalignment is still there. However, we and others found that the μmap scan in cardiac PET/MR is typically well aligned.18,19 The reason is threefold: MRI is a motion-sensitive technique and an elastic belt is the standard equipment. In addition, cardiac MRI is typically acquired in end-expiration so the patient is already used to keep this position. Finally, as the respiratory motion is permanently displayed on the scanners console, it is easy to confirm the patient’s respiratory status. Still, as Figure 2 shows, misalignment is possible and results in the same and potentially severe artifacts as in PET/CT. To conclude, accurate attenuation correction is vital for static, dynamic, and acquisition schemes which are even more complex. Unfortunately, most of the advanced correction schemes are still in the domain of research institutions but approaches which appear capable for routine use are starting to appear.20 As the number of competing imaging modalities is increasing, substantial efforts such as the work by Slomka et al are needed to minimize the number of artifacts in cardiac PET in order to maintain its full potential.